Salamanca is my favorite neighborhood in Madrid. The streets are lined with boutiques from all of my favorite designers. My best friend Jenny lives in Madrid and came up with this drink. 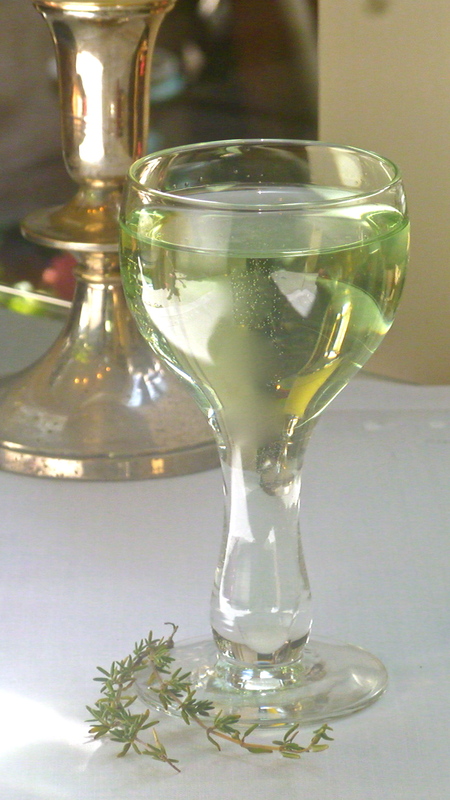 Cantueso Alicantino is a liqueur made from the herb thyme. After a long day of shopping on a warm summer night, this cocktail is slightly herbaceous with hints of chamomile and soft bubbles that it a truly delightful way to end the day. Cheers to Jenny and many late nights on Calle Serrano in Salamanca. Pour Cantueso Alicantino and chamomile simple syrup into a champagne flute, bar spoon stir. Fill with champagne to the top. Bring all ingredience to boil. Allow syrup to boil for a minute then reduce heat and let simmer for ten minutes. Make sure to stir. Strain syrup into an airtight container.